North Carolina has one of the highest rates of people working who earn poverty wages. This hurts children, families, and communities. North Carolina should have an economy that works for all and ensures every family can make ends meet. A state Tax Credit for Working Families could help. 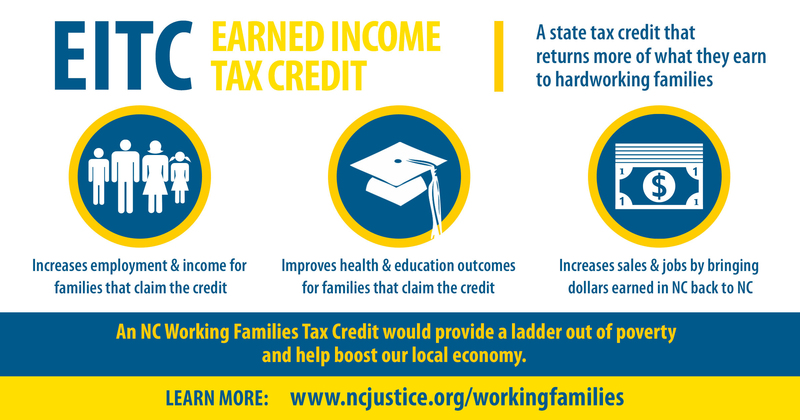 Contact your legislators about supporting a state-level tax credit for working families in North Carolina! Take Action: Contact your legislators now! Join in our “Love NC, Fund NC” campaign, which includes the establishment of a bottom-up tax cut through a working family tax credit, a “millionaire’s tax,” and investment in the building blocks of a thriving North Carolina. Join the Love NC, Fund NC campaign!